Want to be the most beautiful version of yourself? That’s where I come in. I have been passionate about the make-up industry for as long as I can remember. I specialise in bridal make-up, but do a wide variety of work including fashion, photo shoots & private events. I also offer make-up lessons, courses for professional make-up artists and am trained in colour analysis. 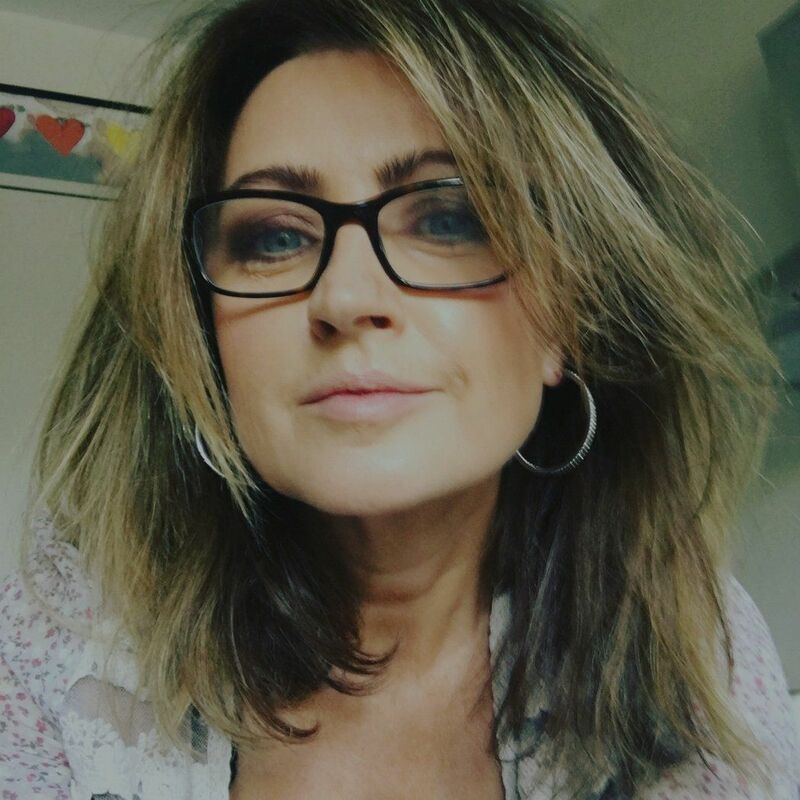 I write make-up blogs and have had my work included in many glossy magazines and newspapers including The Yorkshire Post, Bespoke Bride, Brides Up North, Your Yorkshire Wedding & New Woman. Click here for a look at some of my press coverage. I was born & raised in Yorkshire until I was 16 when I relocated to London. I moved back up to Yorkshire when I started a family. I now live in Harrogate with my husband Nick and our two gorgeous daughters Lili & Jasmine. I’ve always loved make-up and the way it can transform how I look and feel in a matter of moments. Just like any other woman, I have insecurities and have good days and bad days. I understand how looking and feeling your best are very much intertwined. It is my passion to help other women learn how to use make-up to their advantage so they can look and feel fantastic every day. I love what I do and I pride myself on creating a positive, calm and happy experience for my clients. 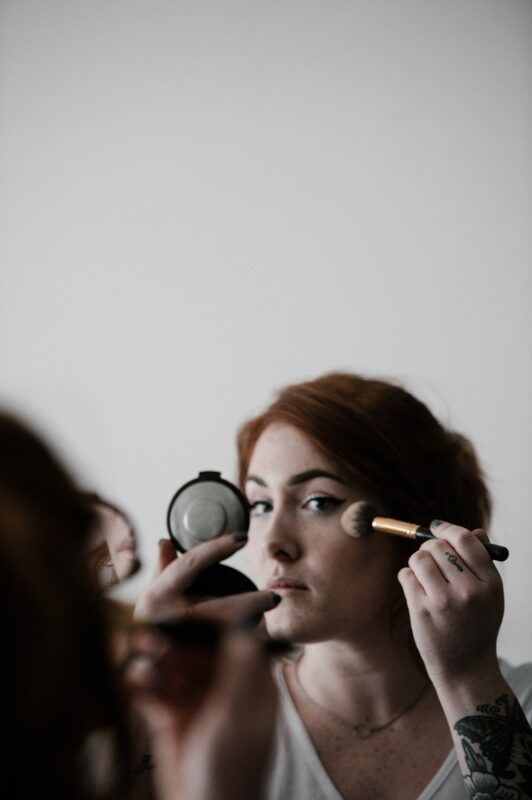 Having your makeup applied by a professional makeup artist on your wedding day will help you achieve flawless and long lasting makeup both on and off camera. 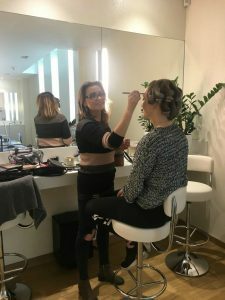 You will also be able to relax and enjoy your wedding morning, feeling stress-free and leaving the important job of making you look the best you have ever looked, in the hands of a professional. I am a Professional Freelance Makeup Artist with over 12 years experience. Specialising in bridal makeup in the Yorkshire area and Makeup Lessons. 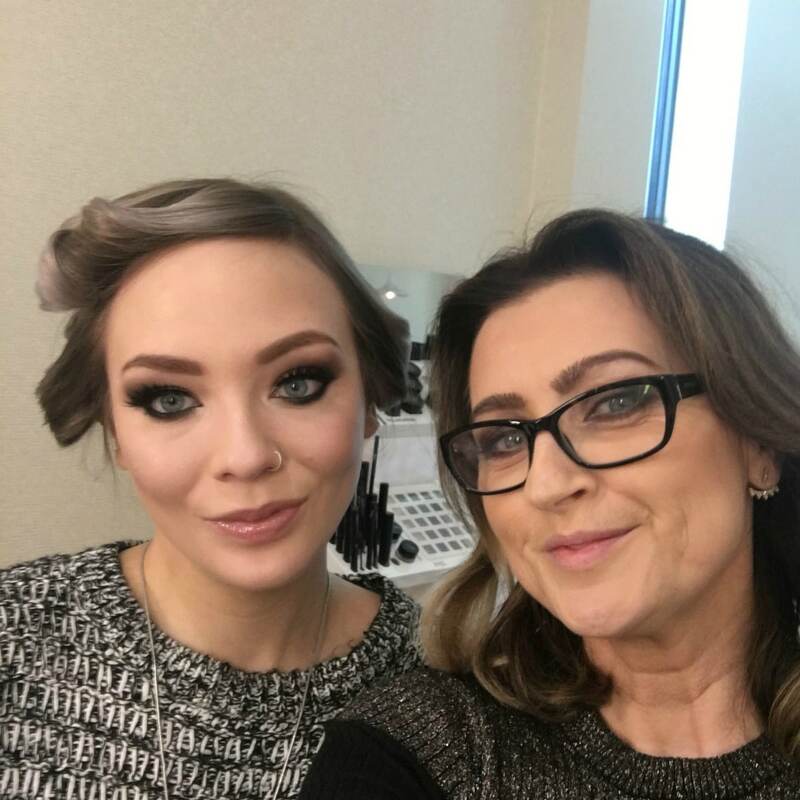 I LOVE helping women to learn all my makeup secrets so they can feel empowered and confident every day. I am based in Harrogate, Yorkshire. 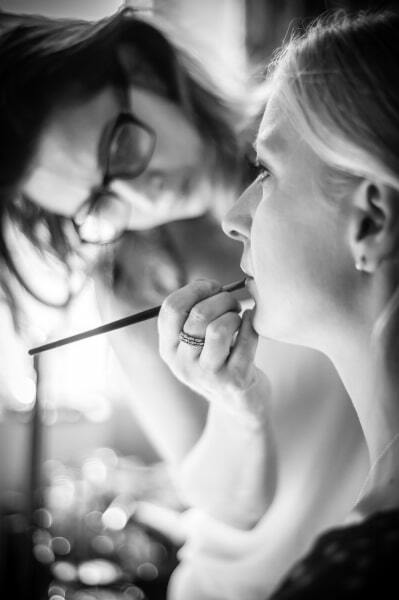 I teach other Makeup Artists & run courses for Professionals specialising in bridal makeup. 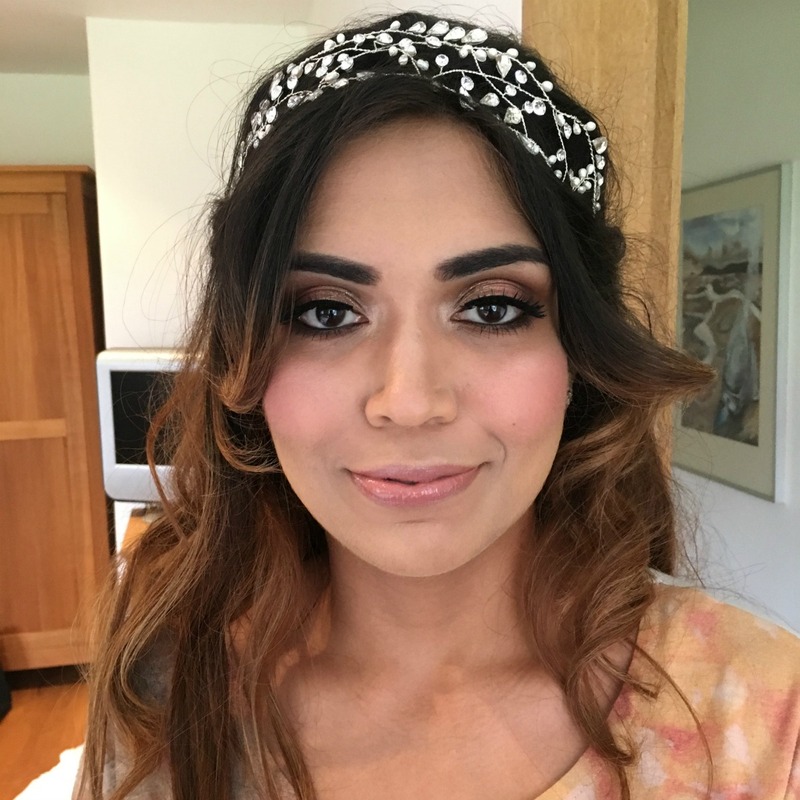 I LOVE doing wedding makeup & have tons of experience doing weddings so you are in very safe hands with me as your makeup artist for your special day. I believe every woman should have at least one makeup lesson in their lifetime, learn how to avoid expensive makeup mistakes & how to make the most of what they’ve got. 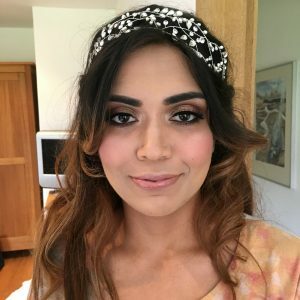 What happens at my wedding makeup trial? I will send you a questionnaire before the trial which will help me to understand what makeup will best suit you and your wedding. Some ‘brides to be’ don’t have a clear idea of what makeup they would like and ask me to do what I think is best, others have a vision of what they would like and in this case it is important that you bring photos of wedding makeup you like, I will bring my own too for inspiration. If I come to visit you at your house for the trial, I need good natural light so ideally I need to be near a window. I need you at eye level, so I will bring my makeup artists chair with me. I will need to lay out quite a lot of my makeup kit, so a table is very useful. 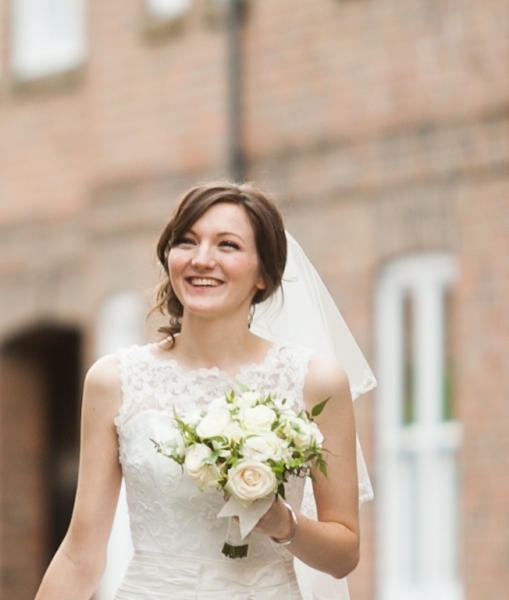 It is a good idea to wear a white or light coloured top at your trial to help replicate the effect your wedding dress. If possible please wear your ‘going out’ makeup to your trial. In the comfort of your own home (or you can come to me if that’s more convenient) we discuss ideas for your wedding makeup. I understand how unique each of my clients are and I take my time to understand your needs. I will never rush a trial and I will take plenty of time to listen and really ‘tune into’ what I feel your style and comfort level is. Once we are both happy, I will make detailed notes so that I know exactly what I’m doing on your wedding day. I will recommend which products you should have with you on your wedding day for touch ups. My aim is to understand all of my clients. However, there are always going to be the occasional ones that remain undecided or somehow unsure of the results. Sometimes this is down to lack of communication (I get some ladies that turn up without any idea of what they want and bring no references for me to look at). This, itself, is not always a problem, some ladies just say ‘do what you want, I’m easy’ and they love it. Others are just not too confident and it is difficult to ‘get’ someone that you do not know personally. If you have the trial, know that you like my work and me as an artist, but we haven’t quite got there, then I am happy to arrange another appointment. What can I expect to learn at a makeup lesson? I will also go through your makeup bag, help you have a sort out & advise which makeup you should invest in after your lesson. learn what makeup suits YOU best? learn quick, easy techniques that give greatresults? do all this in a friendly & non-judgemental environment? with nobody trying to sell you anything? Please click here to see my up to date Wedding Makeup Price List. Please click here to see my up to date Makeup Lessons Price List. A deposit of £50 is to be received before any wedding date can be held. This is then is set against your wedding day charge. Full payment is required either prior to your trial via bank transfer or on the day via cash or cheque (please note I do not have a credit/debit machine). Full payment is required before the wedding day via bank transfer or by cash on the day. False lashes are an additional £10 per set to supply and apply. Any products that I order for you ahead of the wedding day must be paid for in advance. All other products for non wedding clients must be paid for in advance also. Payments for makeup lessons must either be paid in advance via bank transfer or via cash/cheque on the day (please note I do not have a credit/debit card machine). Payments for special occasion makeup must either be paid in advance via bank transfer or via cash/cheque on the day (please note I do not have a credit/debit card machine). All extra travel costs (these apply for journeys more than 1 hour) will be added to either the trial cost or the wedding day (whichever applies). All parking fees over £5 will be charged for.